Hunter Riley and John Godwin found themselves in Chicago, a long way from the North Little Rock neighborhood where they grew up. 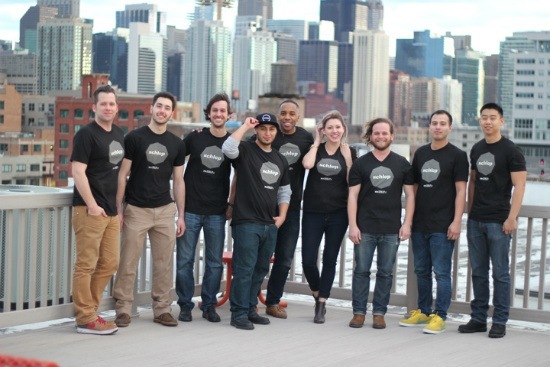 Riley was couch surfing at Godwin’s while in Chicago for work, and the two came up with the idea for Schlep – a different twist on a moving and delivery transportation service. Each co-founder’s path was different. Godwin found himself in Kansas City following high school. He was recruited to study art there. From there, Godwin discovered graphic design and, after a couple of moves, he made his way to Chicago in 2012 to see what a larger market could do for his career. He joined Leo Burnett, one of the world’s best-known advertising agencies. Riley’s path had its own twists and turns. After finishing his Bachelors degree in Economics and International Relations at the University of Arkansas, he returned to the Little Rock area to enter the third class of the Clinton School of Public Service. Riley did his capstone project with the Pat Tillman Foundation. Following his project, he was hired in Arizona and spent four more years building the foundation’s Tillman Scholars program. After that career stop, he landed a remote job with a FinTech company in San Francisco. The job required him to travel to Chicago, where he reunited with Godwin. The two came up with the idea in September 2013 and incorporated two months later. “Your neighbor with a truck.” That’s how Hunter Riley describes Schlep. Schlep, the startup that Riley and Godwin started is an ode to their Arkansas values. Arkansas neighbors, with a truck, will often help each other move large, heavy things. In business terms, it is “last mile logistics and heavy lifting” which utilizes on-demand scheduling. A schlep, for the startup, is a task or delivery. Most of their clients are small furniture boutiques who do not have their own delivery service. Schlep serves as the distribution arm for the store. A customer buys the item from the store; the store hands the delivery off to Schlep; Schlep schedules the delivery based on the client’s preference. There is no waiting, no time range. If the delivery is expected at 10 am, it is delivered at 10 am. According to Riley, Schlep is “the resources and friendly people (supply), matched with needs in a city like Chicago (demand).” There was, essentially, a delivery gap taking place for smaller furniture stores. Schlep uses an application to manage and schedule deliveries. Their customers access the application online and request the delivery, and Schlep matches the task with one of their drivers, also called a Schlepper. The Schleppers use a mobile app to “claim” a job, and the customer receives information about who is delivering their product. Also, Schlep uses a text messaging platform so that drivers and clients can communicate. Schlep has filled a need in two different ways, the gig economy and last mile logistics. Schleppers are “part time employees with a truck, a van, SUVs, and box trucks,” according to Riley. Full-time staffers fill in where needed. Schlep uses the part-time employees who are part of the larger gig economy to help fill their delivery needs. The gig economy has been great for Schlep as they have found Schleppers who had the vehicles to use and wanted to earn the extra income. Many of the Schleppers are college students, but some have other jobs such as teaching or are self-employed with a flexible schedule. The need for this kind of last mile logistics has gone unfilled in the larger cities according to Riley. Thus far, Schlep customers have included interior designers, furniture boutiques, storage facilities, and events. When Schlep launched, Godwin and Riley were looking for predictability while building their clientele. They decided to work with interior designers and furniture boutiques to help fill this need. The result is that Schlep has become, essentially, a boutique logistics firm. The company filled in any gaps by offering to help storage facilities and events. For these businesses, there are logistical needs that fall through the cracks and Schelp helps provide a solution. The same is true with other bigger companies. So far, Schlep has more than 50 clients for which they deliver. Traditionally, companies have had three alternatives to the Schlep model. First, a company can do it themselves using a U-haul or other rented truck. Secondly, a company can invest in its own vehicle and hire someone to move a customer’s products. Finally, a company can use a smaller moving company such as a couple guys with a truck from a site like Craigslist. For a small business which seldom delivers, these options are not often desirable. This need is where Schlep comes in. They vet their Schleppers for personality, skill set, a level of ability and then, background check. As a result, customers and companies like to use Schlep, and it fills a need in the bigger cities. Schlep has seen healthy growth and two differentiators have helped. The first is that the customer controls the timing of the delivery. There is no waiting. The second is transparency. Schlep provides text message updates and tracks deliveries in real time. Another differentiator is the Schlepper’s personality. When a user sets up a delivery, one of the questions asked is “How do you like your coffee?” When the Schlepper arrives, he has the coffee for the client. Little things like this help reveal the nature of the Schlep culture. Schlep started in Chicago first and then added services in Milwaukee. As the company moves forward, Godwin and Riley hope to go to other similar-sized towns where the last mile, on-demand logistic gap exists. The company bootstrapped to get started and then used a network of angel investors to raise $250,000 to build out its technology platform in 2015. The plan is to raise another $750,000 to help grow their Milwaukee operations and expand to Kansas City. Currently, the management team has seven full-time employees. The company has grown more than 200% in a little over a year. For Riley and Godwin, they have brought their Arkansas values of friendly neighbors to make an impact on the boutique logistics industry in the major cities, and pretty soon, more Arkansas hospitality could come to a big city near you. The Schlep crew in Chicago.